As China and Russia's governments are talking peace, traitorous agents on both sides seek war. Enter John Liu as a special agent sent to identify who the Russian traitor is and who his contact is within the walls of the Forbidden City. Snake-Crane Secret is a tale of deceit, lying and mistrust. A family tries to uphold their honor, while keeping their Sacred Kung-Fu book from getting into the wrong hands. Shaolin Mantis (Orig. Tang lang) is a 1978 Shaw Brothers film directed by Lau Kar-leung. Starring David Chiang and Liu Chia Hui. Shaolin Mantis tells the story of a man who learns martial arts by observing a praying mantis. Judy Lee takes on kung fu gorillas! 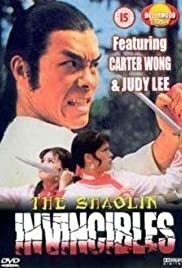 SHAOLIN INVINCIBLES (1977) is out on DVD now in a fairly good transfer and is worth checking out by fans of its stars Carter Wong (aka Huang Chia Ta) and Judy Lee (aka Chia Ling). For the most part, it's a fairly straightforward revenge yarn, in which Judy Lee is out to avenge the massacre of her family by the Emperor's men and is assisted by another young woman, played by Lung Chun Erh. The two infiltrate the Emperor's court by posing as maids. Carter Wong plays a kung fu fighter sent to help Judy by the monastery where she was raised. Things take a turn for the ridiculous with the mid-film introduction of two characters with very long tongues (that look like red plastic neckties sticking out of their mouths) and their trained kung fu-fighting "gorillas.' The gorillas are actors in the cheesiest, most moth-eaten ape suits ever seen on film, yet we're supposed to believe that they're actually gorillas! The two leading ladies fight the gorillas at the end, before taking on the `king' (whose relation to the aforementioned `Emperor' is never explained). In addition to these bizarre touches, the film is not very well-directed; everything moves a little slower than it ought to. But there ARE a lot of fight scenes, including a battle in a tavern that foreshadows the similar scene in CROUCHING TIGER, HIDDEN DRAGON, especially since one of the women here is dressed as a male scholar in the same kind of costume the female fighter wore in CROUCHING TIGER. Overall, the film serves as an adequate showcase for the underrated Judy Lee who is costumed and photographed very attractively. Another kung fu star, Tan Tao Liang, shows up to help the heroines near the end. The film also retains a very nice original Chinese music score.